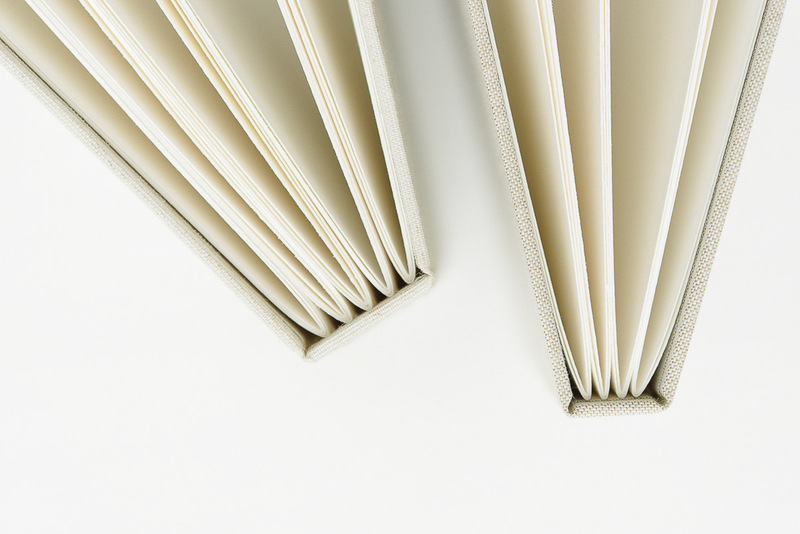 M Album is a handmade album with a gorgeous stitching detail. It is a self-mount which means it is not a photo book but a traditional album for glueing photos inside. Album is stitched with 100% flax thread produced in Europe and the paper is 300g Bockingford acid-free and archival paper with a distinctive random texture made in an old mill in England. It is a high quality paper made using pure materials to archival standards. Its attractive surface is created using natural woollen felts that give it a distinctive random texture. Album is available in 4 different sizes (18 x 18, 25 x 20 cm (panoramic), 27.5 x 27.5, 35 x 25 cm (panoramic) with either 32, 40, 48 or 60 pages), 12 cover colors, 7 color threads, and a variety of ways to personalize your book: engraving names, logos, cover photo, presentation box, debossing, hot foil, custom bag, and many more. Samples and duplicates are not available.